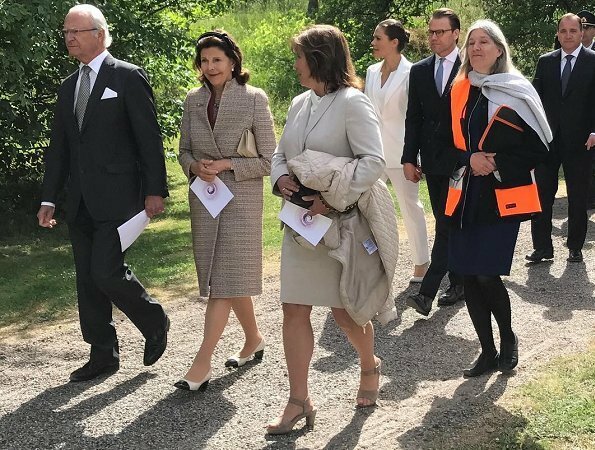 On June 5, 2018, King Carl XVI Gustaf, Queen Silvia, Crown Princess Victoria and Prince Daniel of Sweden attended the inauguration of the 2004 Indian Ocean Tsunami Memorial at the Royal National City Park (Blockhusudden) in Stockholm. In all western countries, Sweden was the worst hit by the Asian tsunami. The devastating wave killed nearly 550 swedish and injured some 1,500 Swedish holidaymakers, who had flocked to Thai resorts for the Christmas period. It 's moving how Victoria and Daniel support each other. It doesn 't main topic of this event but princess looks perfect. Victoria looks very good in the all white pants and jacket. Just weary of the continual bun. La reine Silvia semble rajeunir. 5th Pic, ill-fitting and wrinkled jacket. Poor fabric. What? Are we looking at the same pictures? Victorias jacket is imbeccabile. Yes, that's my opinion. In fact I am surprised nobody noticed it before me. How nice for the RF to remember the 550 Swedes killed in Thailand when the Tsunami hit, it was very devastating for everyone. Everyone from the RF looks good. 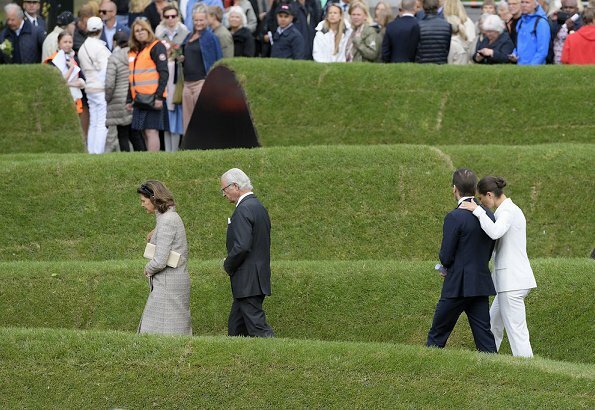 That´s a nice idea for a memorial - to create wave-like grass landscapes. I just wish they had disguised the black construction underneath which is visible where the path cuts through the waves. 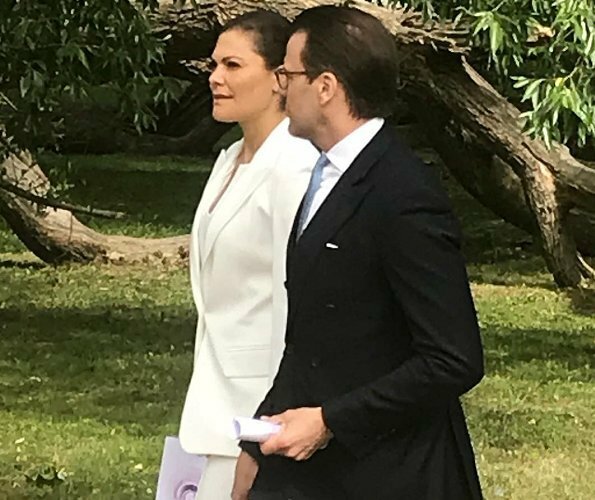 I like that Victoria chose to wear white for this event. And that´s a great suit on her. 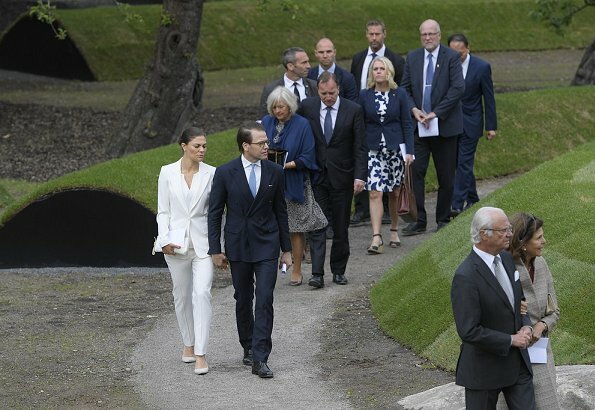 An extra inch of length in the trousers had been good, but still much better than Mary´s take on an all-white suit from the other day. 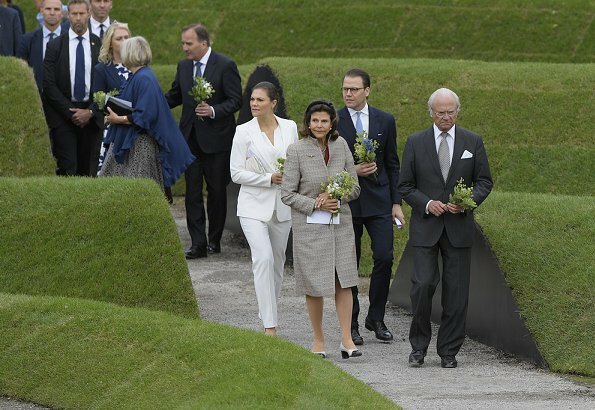 Victoria looks very elegant all in white, very suitable for such an occasion. Perfect white suit, perfect with the off white accessoires. I think with this outfit and occasion Victorias hairstyle looke very good. It is not as if we have to condemn the bun in general. There are looks where it works great. And her it does in my opinion. I love the 5th picture with Victoria and Daniel holding hands. A great couple with great charisma.